Dentist in Montrose Says Prevent or Manage Gum Disease At Every Stage! Most people have heard the term “gum disease,” but aren’t quite sure what it means. Since teeth need a solid foundation of gum tissue and bone to keep them in place, advanced stages of gum disease can lead to tooth loss. That’s why it’s well worth it to learn more about this condition so you can hang on to your teeth as long as possible! And by learning about the different stages of gum disease, you can recognize potential problems as they occur and become aware of the importance of regular care from a dentist in Montrose. Keep reading to learn more about gum disease and how you can prevent it! Gingivitis – In this early stage, you might notice mild bleeding or puffy, tender gums. A good rule of thumb to remember is that healthy gums don’t hurt or bleed. Although gingivitis is very common, it can be reversed with regular checkups and good oral hygiene. 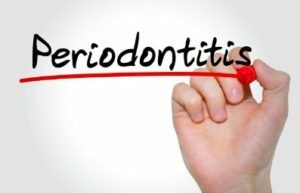 Moderate – Also called periodontitis or periodontal disease, this stage can include red, bleeding or tender gums, gum recession, and persistent bad breath. Healthy gums are surrounded by 1-3 mm “pockets” that can be easily cleaned at home with brushing and flossing. In later stages of gum disease, these pockets become deeper and begin to trap plaque, tartar and odor-causing bacteria. Advanced – Symptoms of advanced gum disease include swollen gums, heavy bleeding after brushing or flossing, or pus around your teeth. This indicates an active infection and requires immediate care. At this stage, a portion of the gum, bone and supportive structures around your teeth has been destroyed, possibly making them feel loose or painful when you eat. How Can You Prevent or Manage Gum Disease? The first step is to schedule a checkup, which includes a gum evaluation. If you have healthy gums or simply a case of gingivitis, you can prevent more advanced stages of gum disease altogether. Regular cleanings (along with good brushing and flossing at home) will remove plaque and tartar and maintain a healthy smile. Scaling and Root Planing – This is a more thorough version of a professional cleaning, and you may hear it called a “deep cleaning. ” First, you’re numbed beforehand for comfort. Then the tartar and bacteria are removed from under the gumline and the roots of the teeth are smoothed to prevent bacteria from accumulating in the pockets. Periodontal Maintenance – This maintenance cleaning is specially designed for patients with gum disease and is usually recommended in 3, 4 or 6-month intervals. Topical antibiotic therapy – Placed under the gums, an antibiotic “gel” is an effective way to kill the bacteria that are responsible for gum disease at the source. The consequences of gum disease are serious, but with the right professional care and good practices at home, it doesn’t mean you have to lose your teeth! Having been a dental hygienist for 7 years before completing dental school, Dr. Holly Boone is especially interested in gum health. Working as a team with her patients, she enjoys educating them on the importance of gum health and how they can prevent tooth loss. If you have any other questions about gum disease, she can be reached via her website or at (713) 522-7540. Comments Off on Dentist in Montrose Says Prevent or Manage Gum Disease At Every Stage!